Chocolate is the ultimate multi-functional, genius ingredient – it pretty much does everything. A single piece of quality chocolate is an instant pleasurable ‘pick me up’ and it’s also brilliant in a wide range of desserts. What many won’t realise though, is that it can be equally delicious when used in savoury dishes, enriching and adding depth of flavour. We’re going begin a discovery tour around chocolate to showcase how it can be best utilised in recipes. 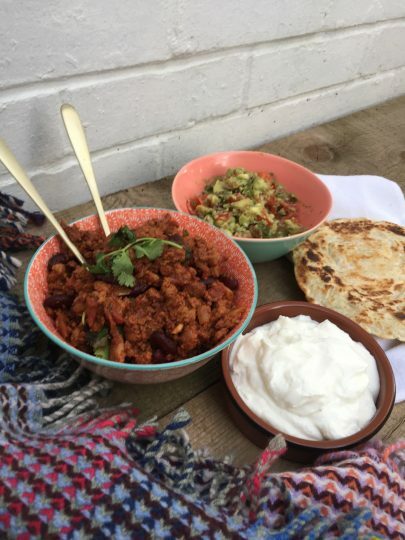 Hopefully you will be able to recreate some of these at home so let’s begin with a classic – Chilli Con Carne! We like ours hot and love the taste the fresh chillies provide, especially scotch bonnet but you can always cut your heat back by leaving them out or going for a calmer variety. 500g lean minced beef or Quorn mince if you want to make it vegetarian. Add the diced sweet red peppers, chillies and spices and continue to fry gently. Add tinned tomatoes, tomato puree, stock and bring to the boil before turning the heat down and simmering for 20 minutes. You can even put in the oven on a low heat until you’re ready to eat but leave to stand before serving with sour cream, rice, coriander, flat bread and salsa.